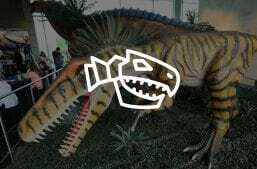 See the options below to find the right tickets for your experience at Pangaea Land of the Dinosaurs. You can choose from: General Admission, Interactive, or Combination. Group tickets pricing also available. Enjoy the restaurants, shops, and entertainment at Pangaea! Tuesday: Available for Private Events! 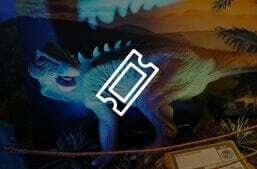 Tickets include entry to Pangaea Land of the Dinosaurs. Includes General Admission and all interactive stations. 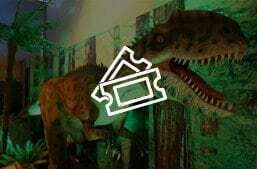 The complete Pangaea experience for one low price! 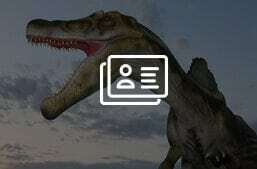 Select from Dino Rides, Sifting, Etching, Excavation, and more! *General Admission is required for add-ons. Have a larger group coming to visit? Find out more about group pricing for your trip. Obstacle Course *Must be 36″ or taller and wear socks to enter Obstacle Course. **Children under 24 months get FREE admission! Enjoy all the interactive stations for one add-on price! *General Admission is required for all purchases.